This weeks Thrift Thursday is kind of a show and tell of baby vintage I've thrifted AND that's been gifted to Eve Moon by some kind friends. 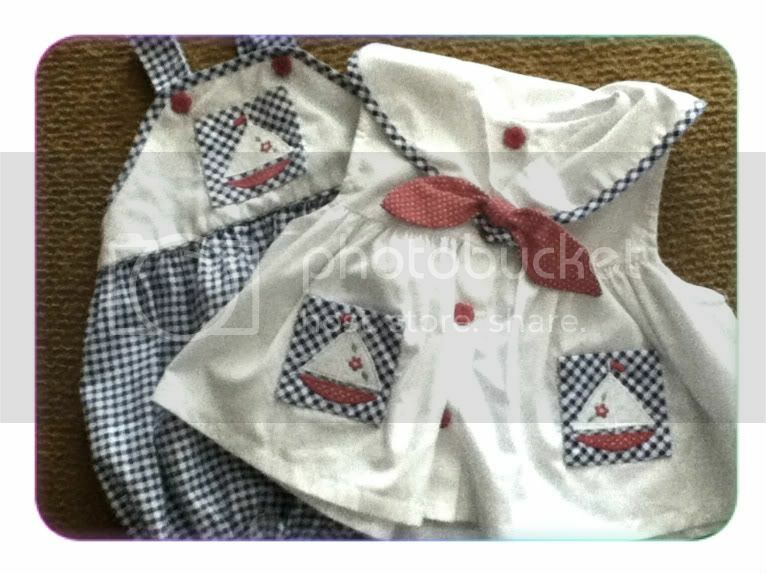 Finding vintage baby clothing is hard, but it's at least a little easier with girls wear. I never had much luck with Luke when he was small, and now he has his own idea of fashion - who am i to force him to wear anything, that's not cool either. But....Eve is still a baby so it's MY CHOICE at least for a couple years. Here's a few of her dresses. A mix of mod 60's and bohemian embroidered wear. Chantilly of My Girl Thursday sent us a wickedly cute package of vintage clothes that her girl Georgia wore. Which reminds me, check out the big time blog party at My Girl Thursday - with lots of insight on starting and running a blog, and a whole bunch of giveaways (we donated a Love Lune Earth Ojo necklace ﻿too). 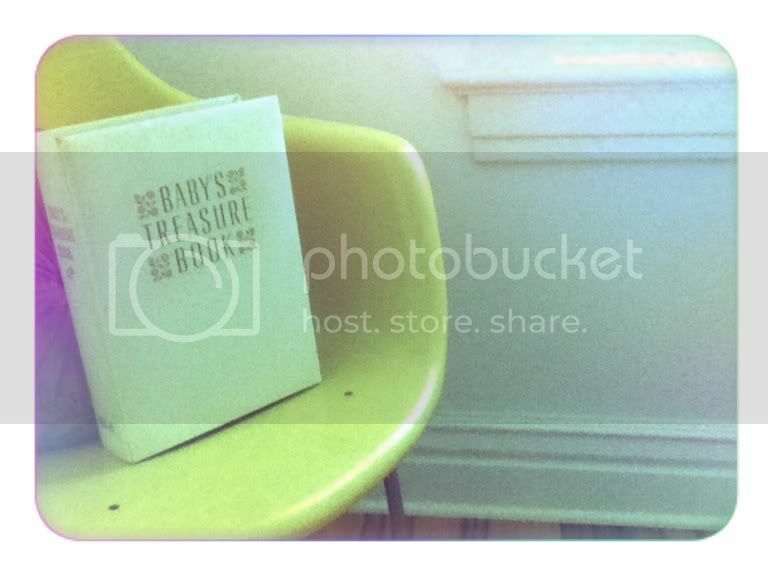 I bought this "Baby's Treasure Book" the other day - which is made to look like a big bound baby book but is really a keepsake box. I keep seeing baby books that I want to snap up, but they're usually partially filled out. Who donates that??? 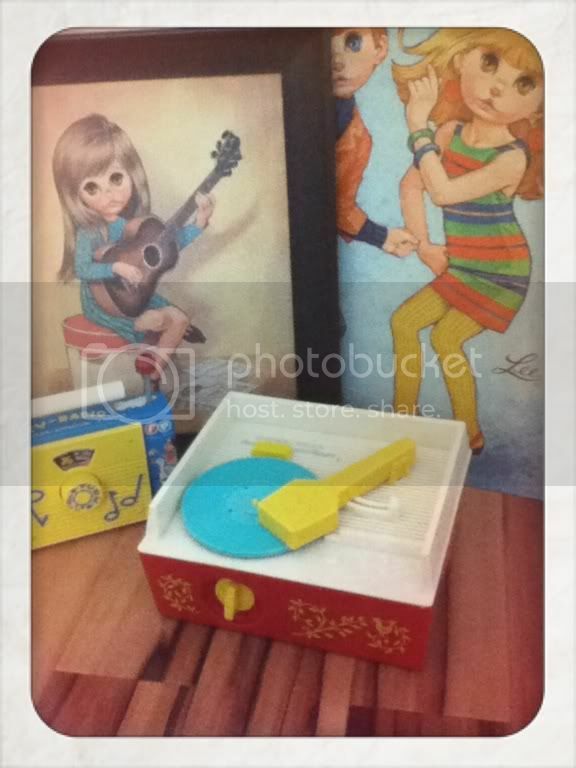 The other day I bought a charm bracelet with a baby photo from the 70's in it. Weird. Baby shoes are usually in great condition because of course, yours would be too if someone carried you everywhere you went! The brown leather ones are from my friend Chandra. I love that she thought of the thrift shop when she looked for a gift for Eve. That means a lot to me actually - what a nice friend! The other shoes are both leather, and less than $2 a pair! Can't wait until she fits them. Cara (she works at Lune on Saturdays too) is one of the nicest people I think I've met in a long long time. I really like her, and I'm so lucky she likes working at lune too! She's been a lifesaver and she surprised me and moon with a couple vintage sailor outfits from fellow Winnipegger Kamis shop The Young Team. Look at this jacket in her etsy shop!! I decided early on to decorate Eves room with 60's big eye prints. I had a few already, but they don't fit the rest of the feel of our house, I just couldn't let them go. Now I have a perfect spot for them. Leigh-Ann heard me talking about the guitar playing girl print I saw on etsy. She was so sneaky and bought it out from under me. But when I told her how sad I was that i missed out on it, she caved and told me it was her who bought it for Eve. It's my favorite gift because it even is signed EVE (the name of the artist), and the music sheets on the ground say 'folk music'. perfect. 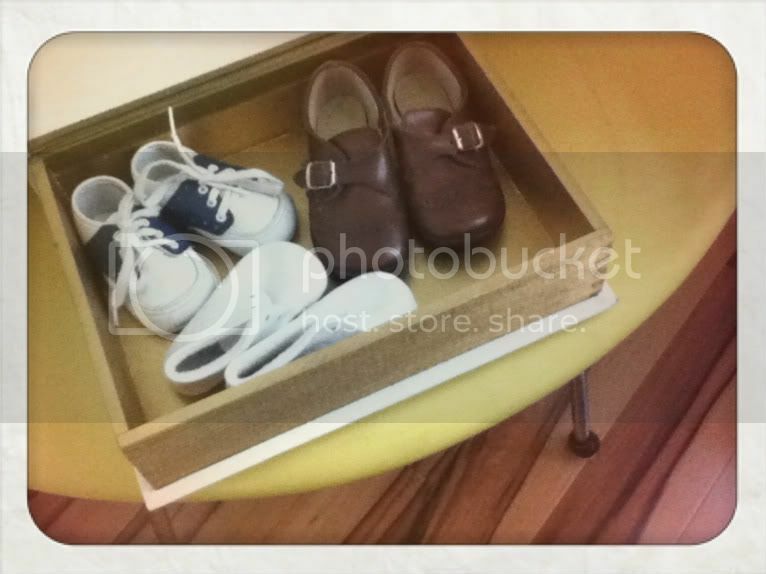 Want to read some more of our Thrift Thursday feature? There's a whole pile of them - visit our archive HERE!